Back in the dot-com boom and bust days, I started a Web design and development company with a friend from college. I was the "techie" delivering the work and he was the marketing guru in charge of finding projects for us. As he made phone call after phone call drumming up business, I could hear him across the hall asking potential clients, "What is your strategy for putting your business on the Web?" He knew the Internet was huge and that businesses had better figure out how to use it to their advantage. In fact, his favorite marketing tagline was "Everything…Internet…Get There!!!" Despite the fact that the tagline is more than a bit cheesy, my partner was right. Since that time, businesses and organizations have invested significant sums of money to market their business and engage potential customers —first via brochureware websites that served up static content, then using today's socially engaging Web application-type sites that not only inform but also engage users in a dynamic, "back-and-forth" informational free-for-all. Today, Web applications offer many features to users allowing them to share all aspects of their lives to friends and strangers alike. Given their respective strategies, it is clear the makers of the major browsers realize users don’t care about the browser —they care about the applications. So what are the big guys doing to take their browser up a notch? Each browser also supports HTML5, which alone provides long-needed tools for building compelling Web applications that rival what is possible with native and mobile applications. 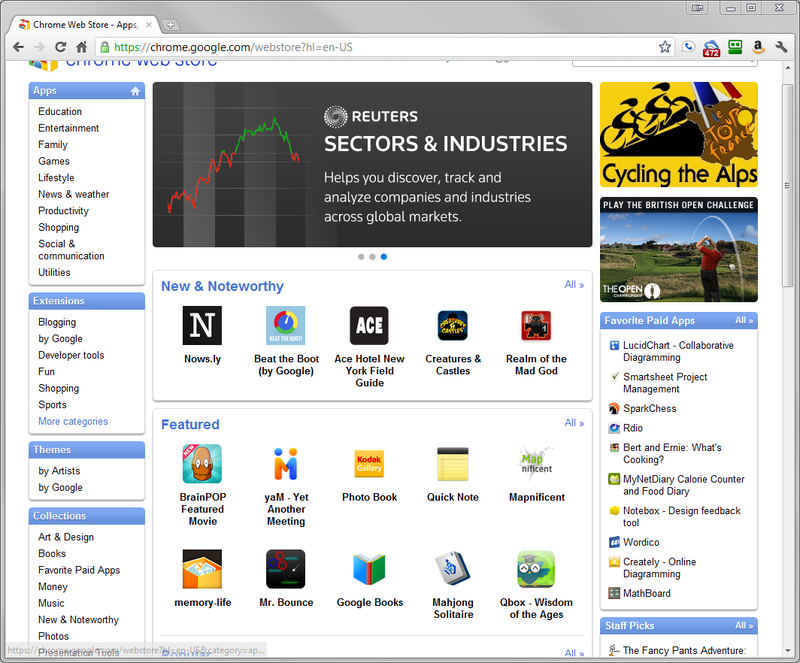 Internet Explorer 9 (IE 9) can help blur the lines between native apps and web through the implementation of Pinned Sites. 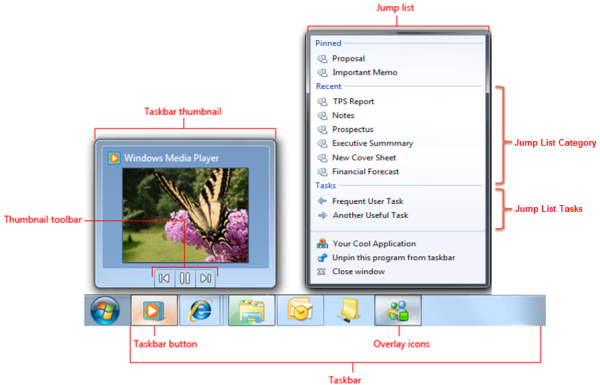 Pinned Sites allow a user to drag a shortcut to your site and place it on the Windows taskbar (see Figure 1). Once pinned, any time the user opens your website from the pinned icon, IE9 opens the site in a separate window. All add-ins are disabled so your site catches attention better. It also isolates your app from other browser instances and protects it in case of a crash. Figure 1. 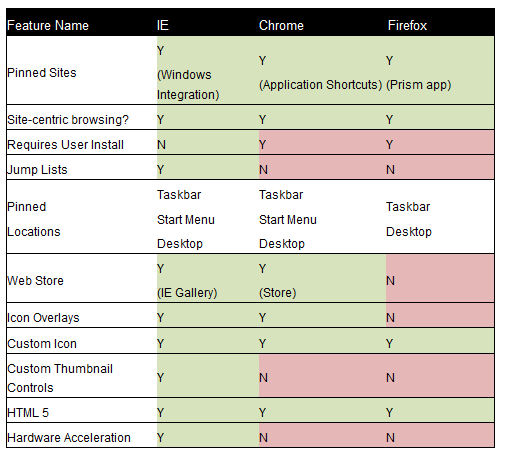 The User-Interface Elements Available in IE + Windows. Also, when a pinned site opens, IE 9 changes the color of the back and forward buttons to match the color of the site and it places the sites favicon in the upper left-hand corner. The result is your website quickly begins to resemble an application instead of a website (see Figure 2). Developers can create this in about five minutes through a few lines of HTML metadata and icons. If that were all IE 9’s pinned sites did, it wouldn’t be too interesting. But pinned sites provide developers with the ability to pop out-of-browser notifications and create custom actions through the jumplist through a set of Windows 7 APIs. These actions allow you to give the user quick access to key features of your web application. All the user needs to do is right-click the pinned site on the Windows taskbar (see Figure 3). Since users don’t need to download a separate plug-in or native app, it’s easy to envision users pinning their favorite sites and a launching them this way. Figure 3. 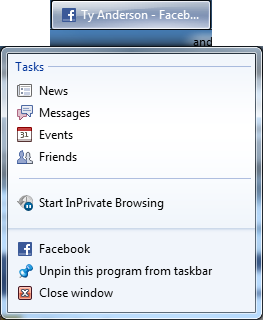 The Jump List actions for Facebook when pinned to the Windows taskbar. Business Insider – read 57 percent more pages, spend 95 percent more time on site. Flixster – read 34 percent more pages, spend 57 percent more time on site. Gilt – visit 39 percent more often, add 160 percent more items to shopping cart, complete 45 percent more sales transactions. The Killers – read 65 percent more pages, spend 103% more time on site. hi5 – respond to 200 percent more social requests (like friends, games, notifications). Huffington Post – spend 49 percent more time on site. IE also has the IE Gallery, which works like a Web store that showcases Pinned Sites. Users can drag and pin sites to their taskbar. You can publish your site to it to gain more exposure from users when users download and visit it. Mozilla’s Web application strategy has been implemented via a separate application called Prism. Prism allows users to essentially achieve in the browser what IE and Chrome allow users to do natively. That is, to create a “separate” Web application from other browser instances, remove the browser chrome, and give the appearance that the site is an application. Prism is now available as a Firefox extension but it does not support Firefox versions 4 and 5. Like IE 9, Prism provides access to a Web application via the Windows taskbar. It also displays a tray icon and badges. With the Prism API, you can build in pop-up alerts to alert users to events related to your application, but that’s about it. If you are looking for more features, then you need to look at building an extension via the XULRunner runtime package. Google’s answer to Web applications is their Chrome Web Store. 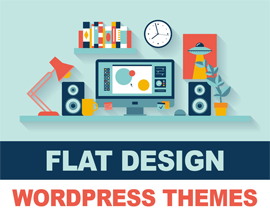 It allows you to publish your website as a Web application via one of two methods. Method No. 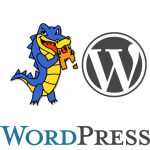 1 is to publish your site as a hosted site. In this scenario, you host the site and then create a metadata file that you load into the Web Store. This scenario is best suited for Web applications that do not implement any Chrome-specific features. It allows you to take advantage of the exposure the Web Store can provide while also maintaining a Web application that works with all browsers. Method No. 2 is to create a packaged application that the user downloads from the Web Store. This application has the option of using Chrome’s Extension APIs to change the user interface of Chrome or modify Chrome’s behavior. Packaged apps also provide offline capabilities, allowing you to turn your Web application into, essentially, a desktop application. It’s worth noting that Chrome does provide a method for pinning a site to the Windows taskbar, but the feature is not obvious to users. To pin the site, the user needs to click the tools button from the toolbar and then select Tools --> Create application shortcuts. Chrome gives the user the option of placing the shortcut on the Desktop, Start Menu and Taskbar. 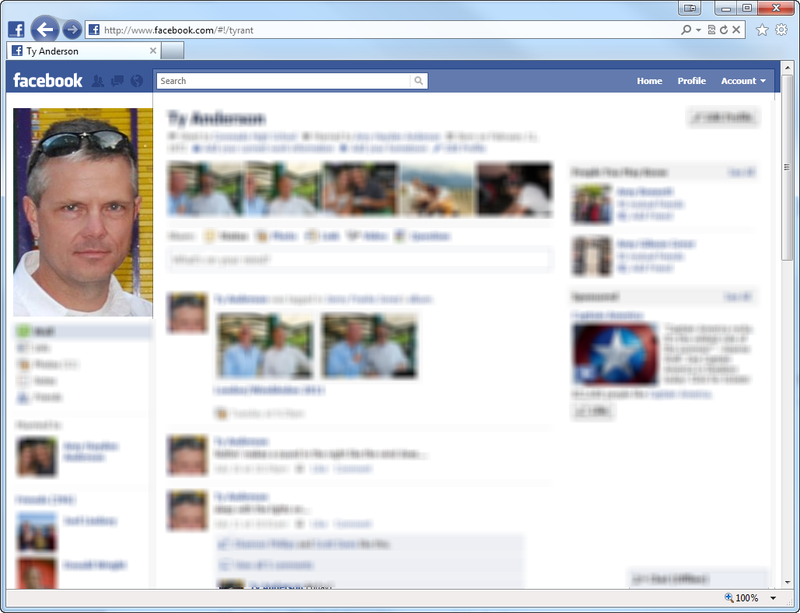 Once pinned, Chrome also isolates the Web application in a separate browser instance and places an icon the taskbar. Chrome doesn’t provide a means for customizing the jump list. Browser support for building Web applications is only just now gaining momentum as the Big Three (Google, Microsoft, and Mozilla) have only recently realized just how important these features are to business, developers, and users. Some are more valuable to sites than others. This site does business with companies mentioned in this article. This article was written by independent authors with input from the sponsor.